Dexter Innovative Solutions LLC is the Original Equipment Manufacturer of the “Dexter” Product Lines. The first "Dexter" Valve Reseaters were invented and manufactured by the Leavitt Machine Company in 1890. 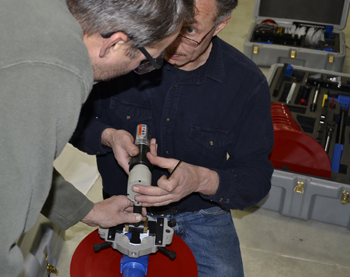 The product line has been modified and upgraded through the years to keep pace with and service the valve industry. 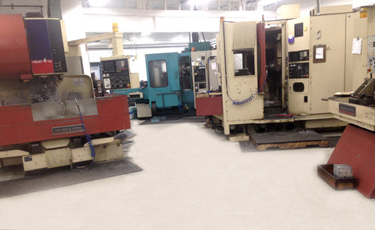 Dexter Innovative Solutions continues to manufacture quality products just a few hundred feet from the original Leavitt Machine Company location. We are Proud and Honored to carry on the tradition of manufacturing excellence here in the United States by continuing current products and Developing New Products to meet our customer’s needs. In 2005, we answered the request of a local AFT agent and designed our first Hook and Line Kit. Since then, we have expanded our EOD Product Line to better serve EOD technicians in the Military, all branches of Federal, State, Local Law Enforcement and International Agencies. Dexter is an independent company 100% owned and operated in Orange Massachusetts. We are happy to serve the needs of Valve Manufacturers, Marine-Maritime, Petro-Chemical, Power Producers, Municipal Utilities and Law Enforcement Agencies Worldwide. Our Mission is to Provide Our Customers with Quality Products Manufactured in the United States using Quality Materials and Workmanship. Customer Satisfaction is our Top Priority. Please feel free to contact us by phone at 978.544.2751 or by email at info@dexter-is.com. We look forward to hearing from you.